Like his former political ally, Carl Paladino, he later “backtracked” from his outspoken, false “political incorrectness”. He later said he spoke in the heat of the moment and apologized if he sounded offensive. What an intellectually dishonest little jerk. 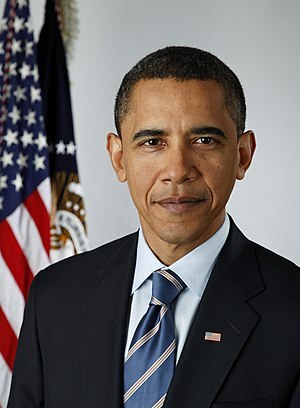 If he has any hesitation about Obama’s legitimacy as a U. S. citizen, he noted that court cases have surfaced questioning Obama’s place of birth. More than a dozen lawsuits have been filed since 2008 contesting Obama legitimacy as president, demanding the release of his original birth certificate even though he has provided a certified copy. Many of these lawsuits have subsequently been dismissed, but some are still on appeal in various states. Obama, whose father was Muslim and mother was Christian, joined Trinity United Church of Christ in Chicago two decades ago. He has attended church as president and continues to publicly profess Christian beliefs. Assertions that he is secretly Muslim continue to persist, though major U. S. news organizations have tossed that perception as unfounded. Birtherism: it’s “politically incorrect”, which appeals to clumsy teabaggers, and it’s factually incorrect, which also appeals to clumsy teabaggers. May we assume that Mr. DiPietro also belongs to the Flat Earth Society ? What a jerk. “The only true tea party candidate”, Jim O. calls him. I guess that’s right. might I ask, even if the President were a Muslim (or an atheist, Buddhist, or worshiped a desk lamp), why would that make any difference in the world? i dont recall freedom of religion only being extended only to mainstream christian religions. talk about taking away peoples’ liberty. After 8 years of the stupid BUSH, whoever would’ve thought there would be such a large group of people embracing an even dumber faction of our society. I guess the lesson here is to never underestimate the stupid. They never disappoint. I am a republican. Yes obama is a christian. Dave is one crazy guy. This week it is a conspiracy that the news focuses on what he said and not what he said his oppponent did. Last week it was a conspiracy that Gallivan got the conservative and independence lines. The list goes on and on like how Domagalski forced Paladino to endorse him. Now he is the only tea party candidate despite the tea party is not even a party. I think he has really lost his mind. I think Jim Ostrowski has something to do with it. Rightwinger’s favorite constitutional amendment is the gun rights one. Their second favorite is the one that bans Muslims from holding office. I believe Obama is too intelligent to be either christ-tard or mus-tard, or hin-tard or any other anti-scientific, anti-human, anti-female, anti-progress ‘tard. We know plenty of people who say “I’m a Christian”, but we know they really aren’t. Obama went to a church for 20 years that said it was a Christian Church, but what they taught was black revolution, racial bias, etc. I don’t know too many people who would call that church “Christian”. He has slipped up and said “MY MUSLIM HERITAGE” on at least one occasion. So when he calls himself a Christian, I retort in the Ebonic “THAT’S WHAT YOUR MOUTH SAY”. Obama has spent MILLIONS of dollars concealing his education history from childhood on up to college. Most Presidential candidates open all their information to public scrutiny. Why didn’t Odumbo? Has he got something to hide? Are his relatives in Kenya who say he was born there out to get him? He’s sure not paying any of them off, they live in some pretty nasty poverty. Oh yeah, they can’t vote in the US, so he’s not going to “Redistribute HIS wealth” to them. He’s a real class character. Kind of the Left’s Golden Calf for y’all to worship. Dave DiPietro is what he says he is, all you get from Odumbo is what he thinks you want to hear. stay classy, Hank, stay classy. Dave Douchepietro. He says he isn’t in an Al-Qaeda sleeper cell so I will take him at his word. . . until proven otherwise.